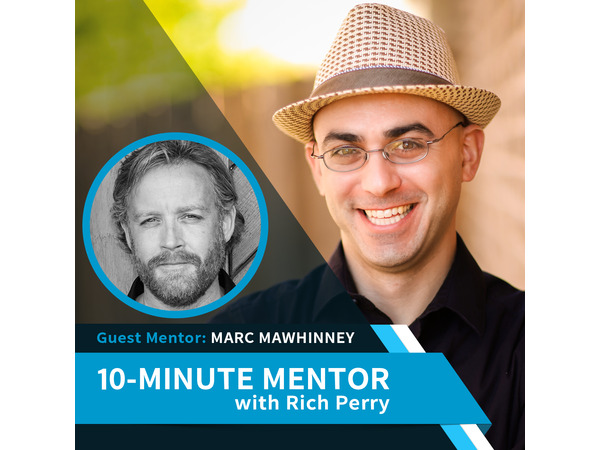 If you liked this show, you should follow 10-Minute Mentor with Rich Perry. This episode is ideal for new: Coaches, Speakers, and Entrepreneurs starting a business on a limited budget. Marc Mawhinney is a lifelong entrepreneur who helps coaches get more clients (without paid advertising)! He achieves this with his coaching programs, his podcasts (Natural Born Coaches and The Marc Mawhinney Minute), his Facebook group The Coaching Jungle, and his exclusive print newsletter - Secret Coach Club. He's been a speaker at events like Social Media Marketing World, frequently makes media appearances, and contributes for Entrepreneur.com. YES - I Want More!